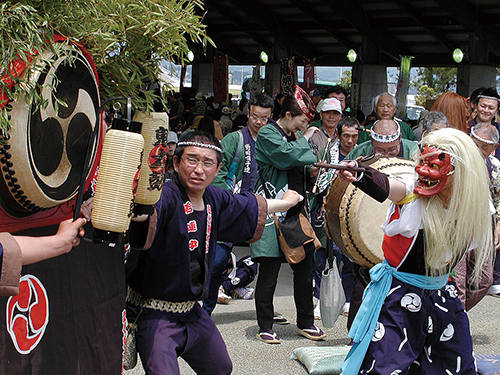 b) Onidaiko deity-masked dances and other local traditions. 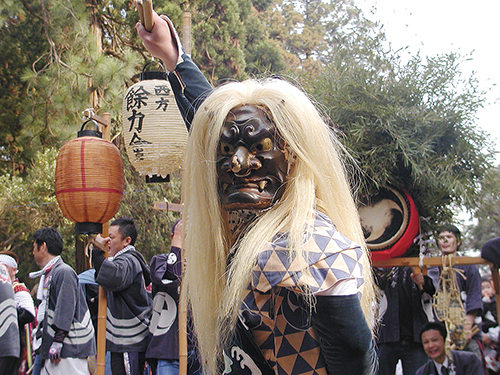 b) Onidaiko deity-masked dance performances at the shrine. 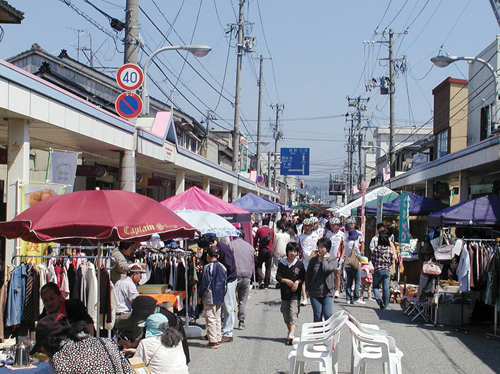 Taikeiji Temple, next to the shrine, also holds other event on the same day. 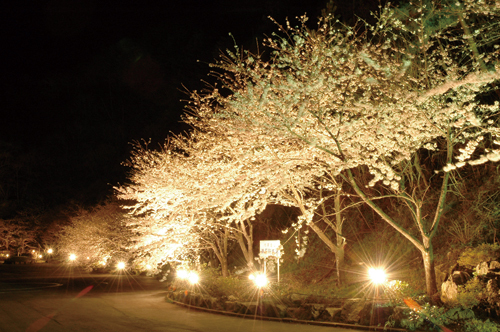 b) Cherry blossom trees will be lit up from April 13th to 27th in the evening until 9:30pm. 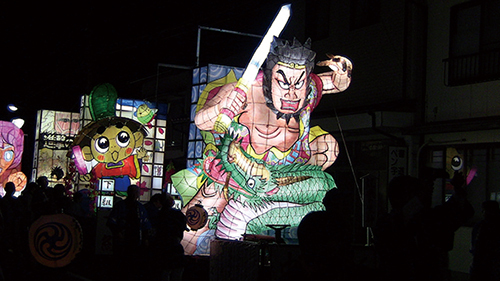 b) Onidaiko performance and decorated float march. 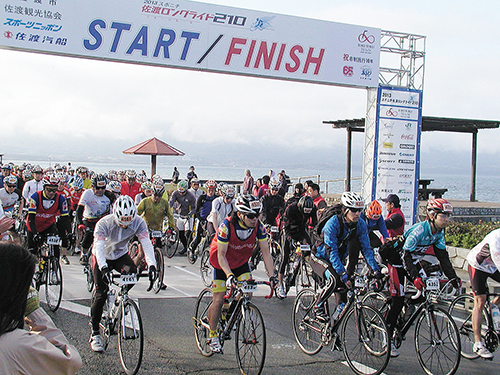 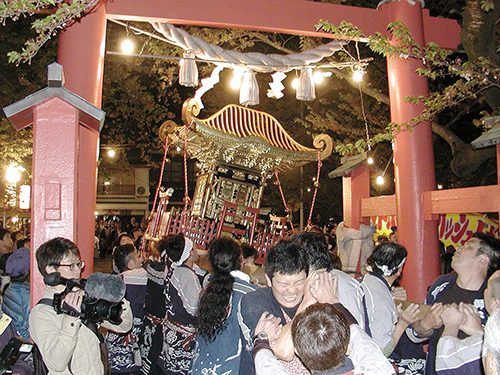 b) Onidaiko, deity-masked dances, floats, shouldering a mikoshi shrine and other attractions until late evening. 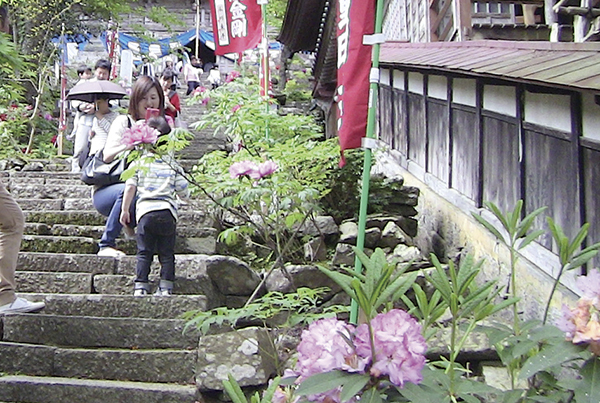 b) This temple is well-known for many seasonal flowers. 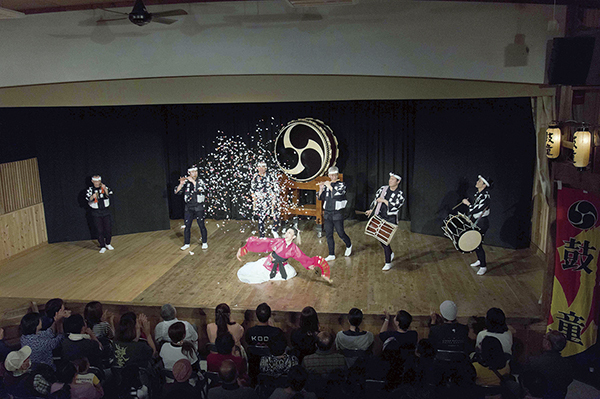 Mid-May is the blooming season of beautiful peonies. 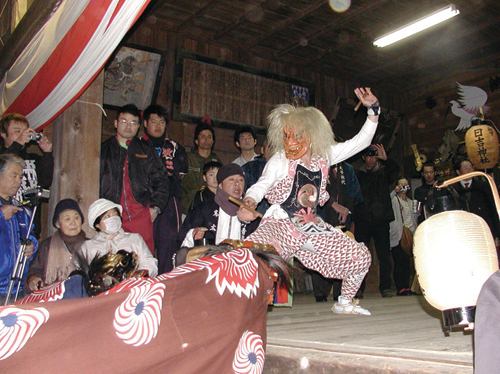 b) Many Onidiko deity-masked dance groups meet at the venue from 10am to 4pm.